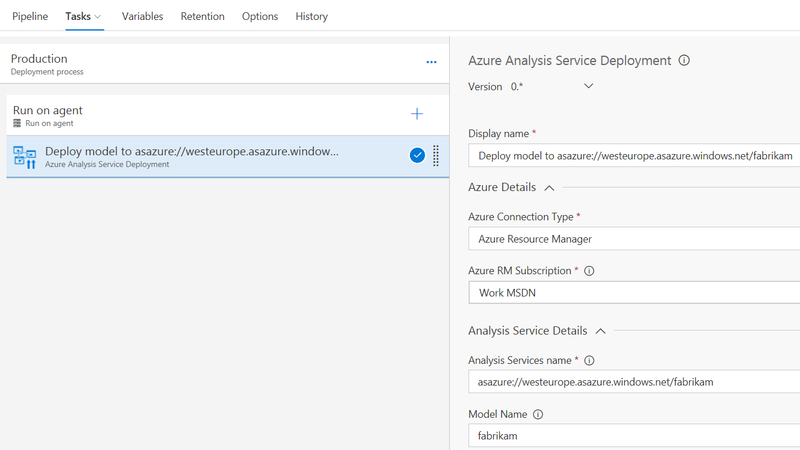 Visual Studio Team Service deploy task that will deploy a Azure Analysis Service Model to an existing Azure Analysis Service. Data Source Type - Type of the first data source defined in the model. SQL is for now the only option. End IP Address - End IP address of the range. Overwrite - Option to overwrite existing model with the new one. Remove - Option to remove the old model before deploying a new one. More configuration will follow. Feel free to contact me for a specific configuration.